We visited an area around Nesseby, Varanger where many Kittiwakes pass by the "island". 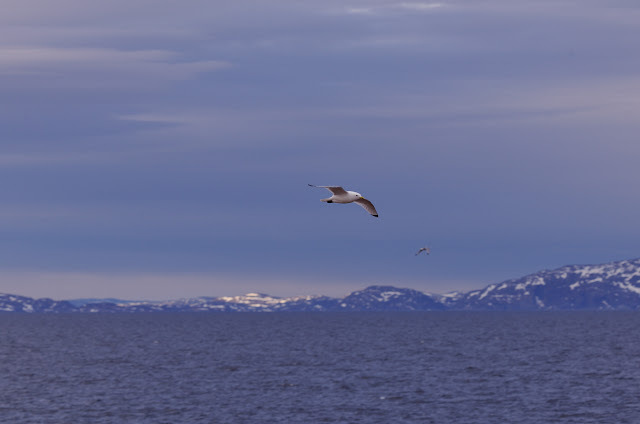 This site is famous as this is where the Soft-plumaged Petrel was found a couple years ago. 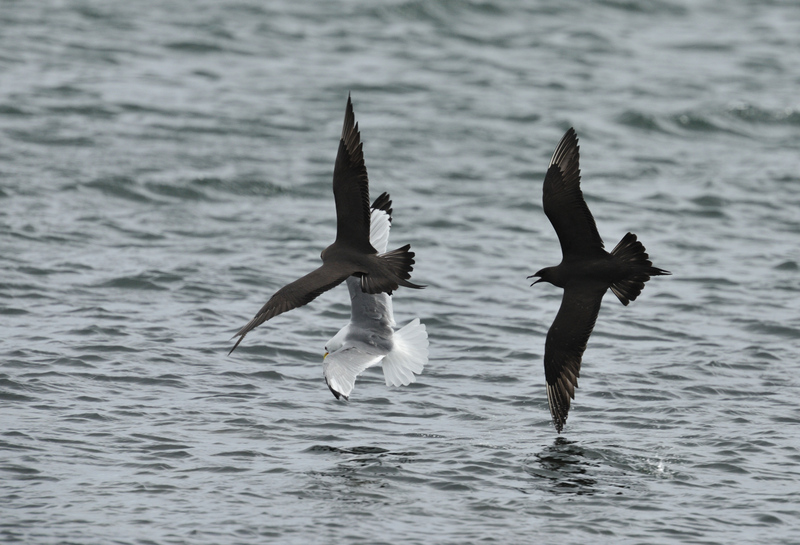 Skuas are regularly seen in the fjords and on the tundra, but these two were close enough to be photo'd harrassing a Kittiwake. 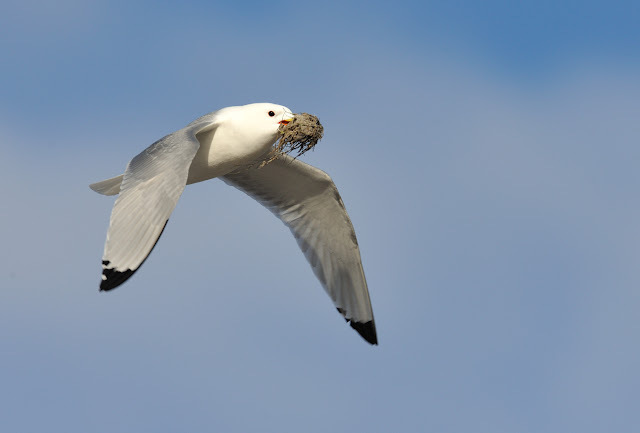 The Kittiwake eventually disgorged its last meal, only for a cunning Herring Gull to be watching and jumped in quick to take the food.